Your opinion matters. Leave A Review Or Edit This Listing for OZWC Community CARE Program. 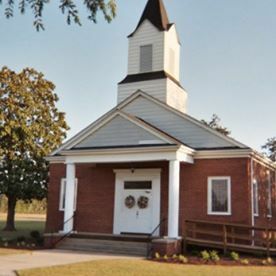 Old Zion Wesleyan Church is the local administrator of the Emergency Food & Shelter Program for Columbus County, NC. Through the OZWC Community CARE Program, residents of Columbus County can apply for and receive emergency food and utility assistance (while grant funds are available). Food assistance, through the church food pantry, is available year-round, while shelf-stable food supplies last. Assistance with emergency shelter is limited to victims of single family fires or other disasters as referred by the American Red Cross or Catholic Charities. We always need more information on our pantries. If you know of any details, volunteer information, website, hours or more description information about OZWC Community CARE Program please add a comment (below the map on this page), with information. We will then display this for all visitors on this page.